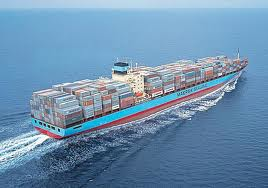 The general average of cargo lost in transfer and cleaning operations is estimated at 0.03% of the total cargo carried and this is the figure typically reported by cargo owners. A sizeable portion of this loss would be captured on-board in the vessel’s slop tanks. Oil and oily waste stored in these tanks is later discharged ashore for recovery or disposal. This is the area where RCR Group technologies focus to address this disposal issue, recover potable water, create clean, usable hydro-carbon gas, premium grade low sulfur fuel oil and a significant quantity of electricity – typically around 50MW / hr throughout the year. 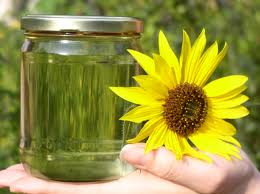 Biodiesel is a renewable fuel that can be made from vegetable oils, animal fats, or recycled restaurant greases. It is considered safe and biodegradable and can, on average, reduce air pollutants such as carbon monoxide, hydrocarbons, and air toxins by 50%. Conversion of waste to energy has been very prevalent around the globe for the last two decades, and is becoming more prevalent in the United States. 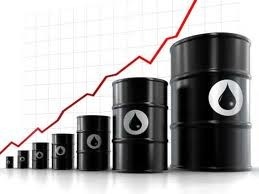 The US Government has accepted a hydrocarbon conversion process as a principle solution to the elimination of waste products and the economical creation of renewable energy. According to the US Department of Energy, biomass feedstock is the largest US renewable energy source since 2000, and the only renewable alternative for liquid fossil-based transportation fuel. The Energy Conservation Reauthorization Act of 1998 amended the Energy Policy Act to include biodiesel fuel use as a way for federal, state and public utility fleets to meet requirements for using alternative fuels. The Energy Act of 2005 extended further the incentive base. Strong growth in the use of renewable energy production and technologies has many sectors of global business clamoring to participate in the future of this industry. 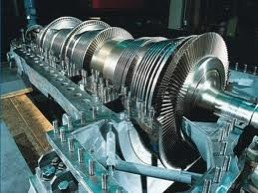 The United States (The stimulus bill demonstrates the administration’s determination to build a green machine) and other industrial nations are creating and offering a variety of incentives through credits, grants and guarantees to stimulate business to act as wells as the use of mandates with communities, municipalities, local, and regional areas to push these issues. As of November 2008, 28 States and the District of Columbia have enacted renewable portfolio standard (RPS) requirements. RCR has assembled a consortium of world-class technology developers to deliver a composite technology-led solution to addressing the objectives of this business model. The biodiesel blending will use the proven transesterification process using one reactor that is considered vastly superior to other process methods that use two or more reactors. It is a waterless process that takes into account issues of water poverty and over the lifecycle of the plant will demonstrate considerable savings of natural resources. 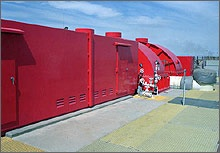 Proprietary dewatering systems will be the primary treatment for shipboard bilge water and oily sludges. The water will be clarified, cleaned and purified for use within the process and for export for other industrial applications. If the need arises the water could be processed to potable quality so that this can be introduced into the public water supply. All of the byproducts from the hydrocarbon conversion process will be used within the electrical energy generation process. This form of energy is classified by the Federal Government as green energy and the process does not produce any waste that requires off-site disposal. For each molecule of biodiesel produced, another of low-value crude Glycerin is generated, and its disposal presents a growing economic and environmental problem if the traditional markets of soaps, lubricants and cosmetic are saturated because of the global increase in production of agricultural based biodiesel. RCR will apply a technique where Glycerin can be converted to produce a hydrogen rich gas. Hydrogen is itself viewed as a future ‘clean’ replacement for hydrocarbon-based transport fuels, and most countries currently reliant on these fuels are investing heavily in hydrogen development programs. The process mixes Glycerin with steam (RCR are recognized experts in generation, storage and delivery of process steam) at a controlled temperature and pressure, separating the waste product into hydrogen, water and carbon dioxide, with no residues. The CO2 can be further separated and re-injected into our gas clean up where it will be absorbed into the syngas loop … this leaves a much purer Hydrogen gas product. Hydrogen has been identified as a key future fuel for low carbon energy systems such as power generation in fuel cells and as a transport fuel. Current production methods are expensive and unsustainable, using either increasingly scarce fossil fuel sources such as natural gas, or other less efficient methods such as water electrolysis. The RCR process is a clean, renewable alternative to conventional methods. It produces something with high value from a low-grade by-product for which there are few economical upgrading mechanisms. In addition, it’s a ‘carbon-neutral’ process, since the CO2 generated is not derived from the use of fossil fuels. As the race towards the ‘hydrogen economy’ accelerates, could potentially be an economically important, sustainable – and environmentally friendly – way of meeting the growing demand for hydrogen. The hydrocarbon conversion system converts the waste hydrocarbon into clean hydrocarbon gas. Dewatered hydrocarbon sludges will be introduced into a patented and very sophisticated microwave system that uses a group of microwaves that are of differing lengths that focus on breaking the carbon chain within the waste material. The process converts the sludge almost immediately into a gas and this is evacuated from microwave chamber and passes through a flash cooler. In essence the microwaves are used to crack the hydrocarbons in the waste material with no external heat source and with zero emissions to either air or water. For each one part of energy used by the microwaves 46 parts of energy is produced from the waste material that is processed. Each ton of waste hydrocarbon sludge produces an average of 207 gallons of No 4 heating Oil and the non-condensable gas produces the equivalent to 1,150kW/hr of electricity, This correlates to some 69% of the hydrocarbon gas condensing to produce clean No 4 Heating oil and 31% of the produced gas is not capable of being condensed and is passed to on-site gas storage tanks. It is this non-condensable hydrocarbon gas that is used to power on-site gas turbines to produce the 48MW/hour of electricity equivalent to 384,000MW/hours annually. Parasitic needs to power all of the onsite machinery and processes is calculated at 14MW/hour and therefore the net export of electricity to the local grid is 35MW/hour equivalent to an annual output and export of 280,000 MW/hours. Edison is the local electricity distributor and grid operator and under legislation introduced within the state of California there is an obligation imposed on Edison to purchase all green energy when it is available. Subject to distribution issues and a net-metering arrangement with Edison, it is envisaged that all net electricity exports are sold to the Port Authority. CO2, which is generated in the syngas combustion process for power generation, is treated and controlled using a proprietary ionized water process. The ionized water, which is produced by the vapor ion plasma unit, reacts with the CO2 to accelerate its destruction and substantially increases the amount of carbon monoxide and hydrogen in the syngas both are useable fuels. The biodiesel production facility, largely a blending process, produces some 168,600 tons of premium grade biodiesel and 15,600 tons of glycerin for which there are ready markets for both products, locally and nationally. However, RCR estimates that a minimum of 40% of energy outputs will be sold to the Los Angeles Port Authority to meet its own energy needs and over time as existing supply contracts expire 100% of the total net output of this facility will be sold to the Port Authority, thus reducing truck miles for delivery of green energy to market. 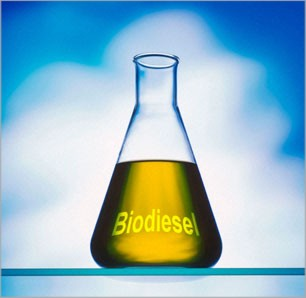 Biodiesel is a clean burning alternative fuel, produced from domestic renewable resources. Biodiesel does not contain any fossil fuels or petroleum and can be blended at any level with petroleum diesel to create a biodiesel blend. It can be sued in compression-ignition (diesel) engines with little or no modifications. Biodiesel is easy to use, biodegradable, non-toxic and essentially free of sulfur and aromatics normally found within petroleum based diesel fuel. Biodiesel is made through a chemical process known as transesterification, whereby the glycerin is separated from the fat or vegetable oil. 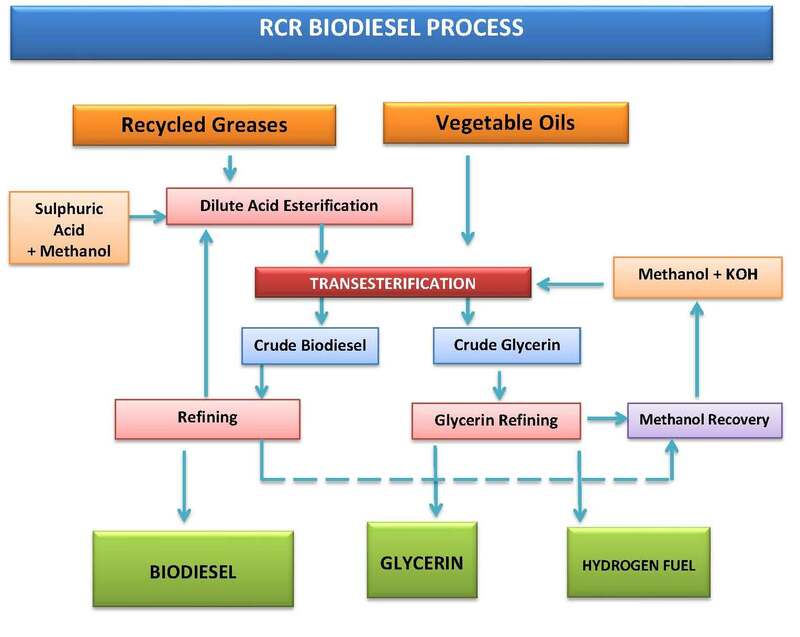 The process leaves behind two products; methyl esters (the chemical name for biodiesel) and glycerin which is a valuable by-product sold for use in soaps and a wide range of other products for a multiple of applications. Fuel grade biodiesel must be produced to strict industry specifications (ASTM D6751) in order to insure proper performance and chemical and physical makeup. Biodiesel is the only alternative fuel to have cully completed the health effects testing requirements of the 1990 Clean Air Act Amendments. Biodiesel that meets ASTM D6751 and is legally registered with the Environmental Protection Agency can then be legally sold and distributed as a vehicle fuel.